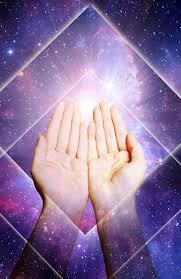 Reiki is a natural system of energy healing, done by placing the hands on or near the client. The practitioner “runs” Reiki energy, which flows to the points where it is most needed. It is impossible for Reiki to do harm in any way. Reiki is an alternative healing method. It was developed by our sensei, Mikao Usui, in the 1920s in Japan, and brought to the West in the 1940s via Hawai’i; it spread around the world in the following decades, and today is practiced by millions of people in virtually every country. Learn the art of Reiki for greater balance, good health, stress reduction, and faster recovery! There are several levels of Reiki practice, and how far you pursue your studies is up to you. Reiki Level 1 teaches you to do hands-on work on your family, friends, pets and more. You learn basic skills that can apply to many situations, and help you to relax more easily, be less stressed, sleep better, and recover more quickly from life's challenges.There are no pre-requisites for this basic training. Level 1 is offered approximately every 3 months. The fee for this class is $75. Reiki Level 2 trains you in energy healing for emotional upsets and over distance. You must have at least 6 months of practice at Reiki Level 1 to qualify for this class, and students are accepted only after an interview and discussion to determine their readiness to advance. Level 2 is offered approximately every 6 months. The fee for this class is $150. Reiki Master Level is an intensive year-long program that meets monthly and requires dedication and commitment. Students will keep a daily Reiki journal, practice the Reiki Principles, attend Reiki circles regularly, assist at classes for Levels 1 & 2, and practice independently. This advanced program requires at least 2 years of Reiki practice at Levels 1 & 2 for entry. On completion of the Master program students are qualified to perform attunements for others. The fee for this class is $1500 (in 5 payments), or $1200 if paid in advance.